A few months later, in Southwestern Ontario, a letter to the editor in the Waterloo Region Record responded to an opinion column about proposed changes to Canada’s Food Guide, and in particular, signs that the guide would remove fruit juice as a substitute for whole fruits. The letter, signed by the Canadian Juice Council, defended juice as part of “a healthy, balanced diet.” A similar letter also began arriving in the inboxes of Canadian senators. 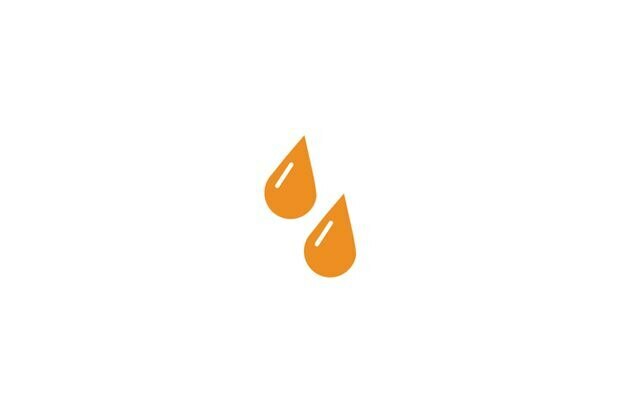 Beyond those instances, there are few traces of the Canadian Juice Council, whose Twitter page has just one follower. Although its website was created in July, 2017, health groups approached by The Globe and Mail, including the Heart and Stroke Foundation, said they’d never heard of the CJC. And no wonder. The Juice Council doesn’t exist in the way you might expect: as an institution disseminating impartial facts and information about juice. Rather, it was created by the lobbying arm of the beverage industry – in a practice known as “astroturfing,” used by lobbyists in all kinds of industries to create the appearance of a grassroots movement and a larger chorus of voices than actually exists. The Juice Council is also just a small piece of a much larger, years-long campaign by the beverage industry to fight Health Canada plans that would end the practice of recommending juice as a straight substitute for whole fruit, and would also require prominent labelling of the sugar content in juice. Over the past two years, The Globe has compiled hundreds of pages of documents – e-mails, meeting records, and government memos obtained through freedom-of-information requests – detailing the various facets of that campaign. Together, they paint a picture of the complicated web of actors involved in creating one corner of food policy, and the extreme efforts by some of them, including competing departments within government, to influence how Canadians think about their food. The beverage industry’s campaign, by many accounts, has been intense; some observers have likened it to efforts undertaken by tobacco lobbyists. And the beverage that is the subject of the fiercest lobbying? Fruit juice. One year after Justin Trudeau’s government was elected in 2015, Health Canada revealed its Healthy Eating Strategy, a slate of policies intended to improve eating habits in a country where one-fifth of citizens are obese and where cardiovascular diseases are among the leading cause of death. 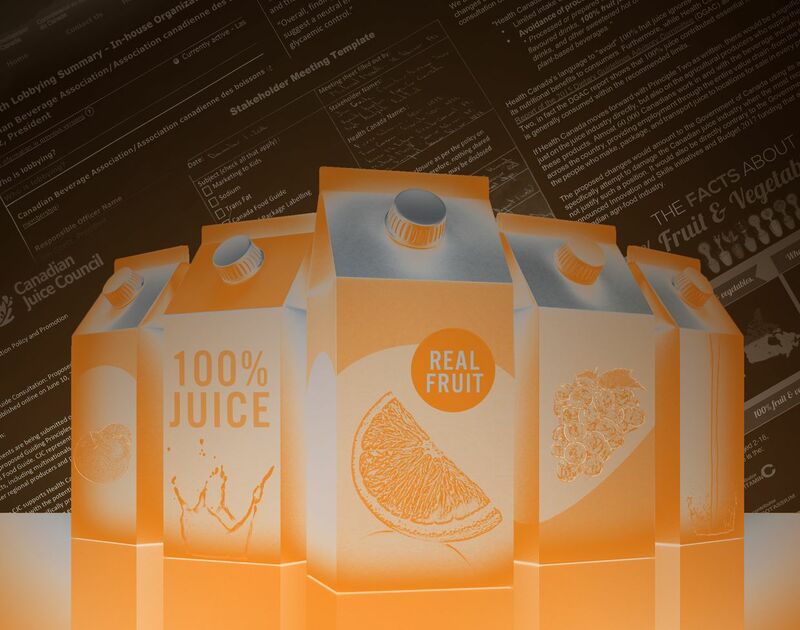 Two particular proposals would affect how Canadians think about juice. And indeed, the new Food Guide – which the government is hoping to unveil in the next few months – appears poised to dim that halo, removing the juice-for-fruit substitution and advising Canadians to avoid drinks high in sugar. The other Health Canada proposal would require juice to bear a label flagging its high sugar content. That policy would be part of a larger “front of pack” labelling system that would place clear warnings on foods high in sugar, salt or saturated fat. Doing that has involved more than 50 meetings with federal ministers, staffers and senior bureaucrats. (The lobbyist registry measures instances of “oral and arranged communications,” but Mr. Goetz said the vast majority of those meetings were face-to-face.) In October, 2017, alone the CBA had more than 18 meetings with government officials, although Mr. Goetz said some may have been to discuss non-juice-related matters. Barely two weeks after then-health minister Jane Philpott announced the new proposals, Mr. Goetz sent a letter, marked “privileged and confidential,” to a Health Canada assistant deputy minister. A few weeks after that, he met with that bureaucrat, and several others at Health Canada, to express his concerns. From the start of its revision process, Health Canada has promised not to take private meetings with industry over Canada’s Food Guide. In an e-mail to The Globe, a Health Canada spokesperson said the December, 2016, meeting did not violate that promise, because the pledge applied only to the team handling the Food Guide revision – not anyone else in the department. In any case, the CBA was not limiting its interventions to Health Canada. Before long, it had written to the Treasury Board and to Innovation, Science and Economic Development Canada (formerly Industry Canada). At a time when the government was aiming to increase agricultural exports by more than a third, to $75-billion by 2025, Health Canada’s proposals, the CBA argued, would hurt the nearly 60,000 people employed in the juice industry. The CBA’s most targeted efforts involved Agriculture and Agri-Food Canada (AAFC), which both promotes the farming industry and has a role in regulating it. In letters to that government department, the association warned that Health Canada’s changes could cause job losses in beverage-processing, and also hurt farmers. Speaking to The Globe, Mr. Goetz said that fruit farmers in some parts of Canada are reliant on the juice industry for up to half their crop sales. But farmer Brett Schuyler, who is also a director with the Ontario Apple Growers, told The Globe that, although he disagrees with the proposed Food Guide changes, the vast majority of juice-making fruit in Canada comes from China and Chile; some growers in Quebec, he added, might be slightly more dependent. Regardless, from June, 2016, to October, 2017, when Ottawa was mulling and then unveiling its proposals, AAFC officials met at least five times with the CBA and representatives from the beverage industry. The groups also exchanged letters and e-mails throughout that period. In one letter, Jean Gattuso, the president of Lassonde Industries (whose labels include Allen’s, Oasis and Del Monte), warned that juice was “under threat,” and that removing it from the Food Guide would create “unintended consequences,” including further challenges to food security for those living in Northern communities, who aren’t always able to access whole fruits. In e-mailed statements to The Globe, spokespeople for both the AAFC and Health Canada said they were striving to ensure decisions were made using the best evidence possible. “Health Canada is working closely with AAFC to ensure that stakeholder concerns are well understood,” a spokesman there said in an e-mail, adding that changes to policy, would be “based on the totality of scientific evidence.” A spokesperson for Health Minister Ginette Petitpas Taylor echoed this. Mr. MacAulay, the Agriculture Minister, did not respond to a request for comment. While 100-per-cent juice does contain many of the vitamins and minerals of whole fruit, it contains more sugar per serving, and far less of the fibre that slows the body’s absorption of that sugar. One 12-ounce bottle of orange juice contains about the same amount of sugar as 12 ounces of Coke – more sugar than the World Health Organization recommends for the average adult in a single day. Excess sugar consumption is also linked with heart disease, obesity and diabetes. But the CBA has repeatedly argued that science is on its side. Attached to most of its letters to government officials has been a 15-page compilation of research studies. Among the findings they contain: Juice is a good source of vitamin C, potassium and other nutrients, particularly for those who can’t meet their fruit-intake recommendations. Many of the researchers cited by the CBA are funded, at least in part, by the food and beverage industry; one of the most-cited studies in the document was funded by powerhouse Welch’s. Mr. Goetz acknowledged this in an interview. But many of the studies, he said, are not industry-funded. As well, he noted, some are meta-analyses, which combine the results of many studies. “We stand by our document,” he said. Still, some experts see the juice industry’s efforts as akin to Big Tobacco’s decades-long attempt to portray cigarettes as harmless. From the 1950s onward, it spent millions of dollars to fund and disseminate scientific research sowing doubt about the links between smoking and cancer. David Hammond, a professor of public health at the University of Waterloo – whose past research has examined tobacco-control policy – has been advising Health Canada on the effectiveness of health labels. “I would say [the juice industry] is acting equally as forcefully as tobacco companies to protect their interests,” Dr. Hammond said. Health Canada says its work on the Food Guide is “almost completed.” With the department having already released its “guiding principles” for the document, experts are hopeful the final product will stay the course. And a final design for front-of-pack labels is expected “in the coming months.” Still, with a federal election less than a year away, health organizers and nutrition experts are concerned that label requirements could be scrapped entirely or, if not, then very much watered down. Earlier this fall, as Canada and the United States renegotiated the terms for their trade relationship, the food industry argued that front-of-pack labels would create barriers for Canadian producers. And at the end of September, a report released by the Agri-Food Table, a group of food-industry representatives convened by Innovation Canada, recommended shelving the labelling proposal immediately. Yoni Freedhoff, a University of Ottawa professor of family medicine and a vocal critic of fruit juice, said he believes Health Canada officials want to move forward with both of their original proposals. But, he added, such decisions often get vetoed farther up the chain – something he said is common in food policy, where government’s conflicting interests are laid bare. “juice;” does not include other fruit-flavoured beverages. sell more than 60 brands of non-alcoholic beverages. 60 brands of non-alcoholic beverages. *Only includes brands which market themselves as “juice;” does not include other fruit-flavoured beverages. **Nearly 30 companies are under the CBA. In total, they sell more than 60 brands of non-alcoholic beverages.